How do you drive brand heat for adidas through their association with Mo Salah with a fast turn-around and a minimal budget? 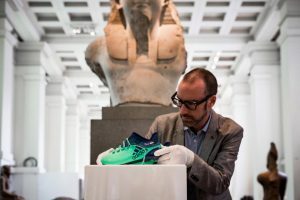 Following a historic season for Salah, H+K helped adidas grab headlines and spark conversations around the world by having the Egyptian football star’s adidas boots inducted into the British Museum’s world famous Egypt collection. With only a fortnight to execute the idea, H+K worked with adidas to create an iconic moment for Salah and The British Museum, for just the cost of a photographer’s day-rate and a plinth. Starting out as an owned-channel reactive brief with a small budget; H+K realized that the opportunity was bigger than a simple Tweet could do justice to. 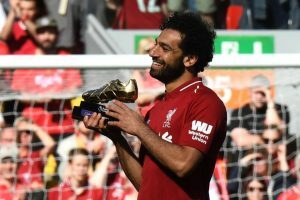 This was an opportunity to generate mass awareness of the brand’s association in the week Salah was awarded the Golden Boot and generate media coverage outside of the football vertical. Recognizing that the idea would also provide The British Museum with a unique opportunity to reach a Gen Z audience, H+K moved fast to take the idea to them and organize for the boots’ inclusion. Revealed via a striking image, the announcement inspired one of The Sun’s finest ever headlines – ‘BOOT-ANKHAMUN’ – three appearances on the BBC Breakfast sofa and a raft of opinion pieces on what it signified for the future of the British Museum. Social media was flooded with global media, football obsessed teens and influencers celebrating Salah’s historical achievement; driving the British Museum’s social channels to break all normal benchmarks with 4.4K retweets and 7.4K likes of the picture. It was an iconic moment for adidas, Mo Salah and The British Museum. Mo Salah’s adidas football boot is the first item in the collection from the 21st century. It was a British Museum first to have a current commercial object on display in this way and the idea recognized the Museum’s desire to modernize and capture the attention of a young audience. Read some of the earned media coverage here and here.